BROOKLYN — A gunman injured two teenage girls and a man when he opened fire on a crowd of people just two blocks from the Pratt Institute's campus Tuesday night, police said. The victims were among a crowd of people outside 185 Waverly Ave., near Willoughby Avenue, when a fight broke out about 10:15 p.m., prompting an unidentified man to open fire on the gathering, spokesmen for the FDNY and NYPD said. One 17-year-old girl was shot in the torso and another shot in the leg. A 26-year-old man was shot in the knee, according to a police spokesman. They were also taken to Kings County Hospital in serious but stable condition, police said. The mayhem began when two girls started fighting in the throng of people, neighbors said. A man joined the fray and, moments later, another man started shooting, sources said. The shooter was still at large Wednesday morning. 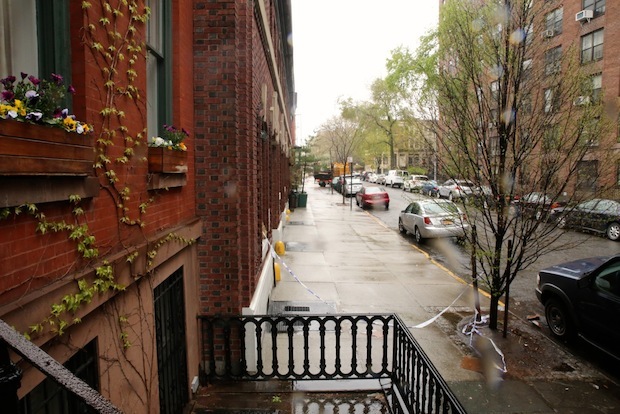 The streets surrounding the Brooklyn campus for Pratt have seen several shootings in recent months. Antonio Wilson, 23, was killed May 31 last year when a bullet, fired during a fight outside a restaurant near Ryerson Street and Myrtle Avenue, pierced his chest, police said. He had been an innocent bystander. Then in October last year Nicoleia Taylor, 24, and another person were accidentally hit when 21-year-old Corey Brown tried to shoot another person near Franklin and DeKalb avenues, the NYPD said. Taylor, a nurse and mother of a young boy, was killed, police and family said. Brown was arrested in Connecticut about a month later.